I have recently completed a report into a trial of a ‘flipped classroom’ session for a group of third-year BA Human Geography students. If anyone is interested in using this technique, the report might be of use. This case study outlines the process of trialling a new approach to traditional lectures: the Flipped Classroom. The purpose of ‘flipping’ a classroom is to foster deep-level learning (e.g. Marton and Sa ̈ljo ̈, 1976; Ramsden, 2003) by supporting experiential learning (Kolb, 1983) and by appealing to a broad range of learning styles (Lage et al., 2000). In short, a ‘flipped’ classroom reverses the more traditional style of teaching, whereby students digest teaching resources during classroom time and then complete homework afterwards. 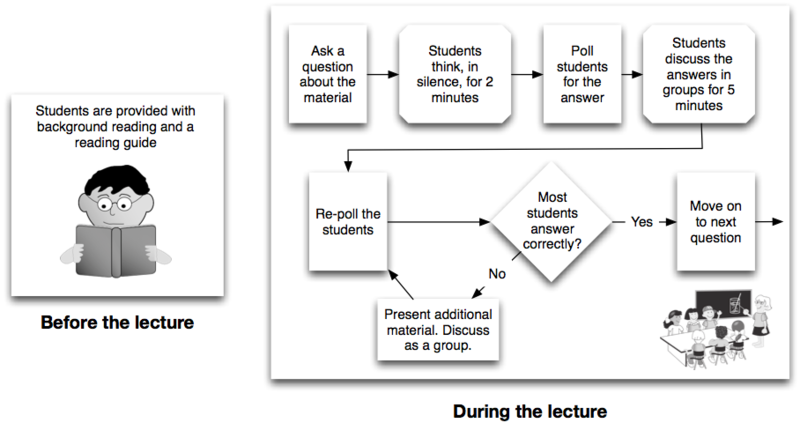 In a flipped classroom, students are provided with resources to study before the class. Then, the face-to-face teaching session can be spent discussing and interacting, rather than simply delivering information. This flipped classroom trial will take place in a level-three BA Human Geography lecture.